This unsigned necklace represents elegant 1930s design. Very Good - One of the joins in this hand-knotted necklace shows some signs of repair and there is some darkening to a couple of rhinestones consistent with age. These points are only visible upon very close inspection. 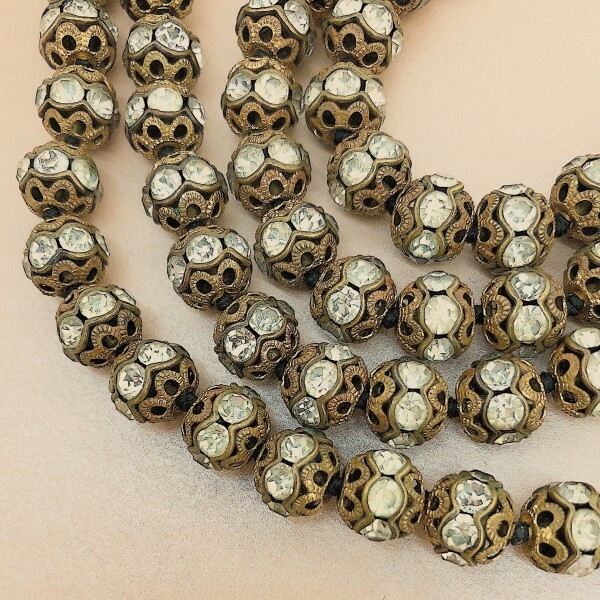 This necklace features gilt metal filigree beads with round, clear rhinestones around their centres. The necklace has been hand-knotted and fastens with a bolt ring. This necklace measures 66cm.